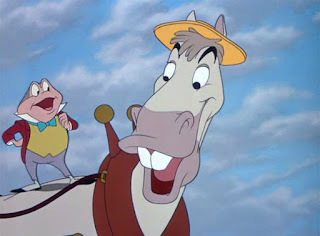 Home / 2D animation / AH / articles / Disney / lists / retro / What's So Great About Disney Horses? 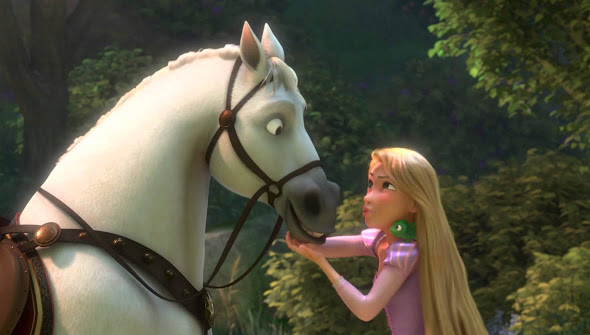 What's So Great About Disney Horses? Disney has produced some memorable characters over the years, from beautiful princesses and dashing knights to wicked witches and sinister sorcerers, but what they have always specialized in is their memorable animals. From his beginning as an animator, Walt Disney himself created a little mouse named Mickey, and the rest is history. However, while watching some of the Golden Age and Renaissance classics this past week, I began to notice that there is one particular type of Disney animal that takes the cake: the horses. For every choir of singing birds and talking mice, the Disney animators have created some of the most iconic horses ever to gallop across the silver screen. They are strong, good-natured, and loyal companions to a film's protagonist, and will charge into avalanches or dive through walls of thorns and fire to battle evil. These noble steeds have a knack for stealing the spotlight. For the most part, each Disney horse seems to follow a specific formula. Despite the fact that they are animals, they are almost humanlike in appearance and attitude. Sometimes they abandon their status as beasts of burden altogether, acting as leaders amongst other animals (or humans) and even adopting the role of a bloodhound to sniff out criminals in a forest. For me, however, the true magic lies in their large, soulful eyes which, again, bear an eerie resemblance to those of humans. Due to this, we can connect with these horses in a unique way. We see bits of ourselves in them and can feel their struggles and triumphs. Apart from their appearance, their personalities are infectious, energetic, and unique, giving viewers a chance to enjoy each horse in a special way. Some horses are temperamental and wild. Two of the best examples are Samson (Prince Phillip's horse from Sleeping Beauty) and Maximus (a guardsman's horse from Tangled). These two are arrogant and stubborn, and it clearly shows in their body language and expressions. Both horses have to be bribed in order to waver from their designated paths, and both are very protective of their masters, even though Maximus tried to kill Flynn on several occasions. However, some horses have gentler dispositions. Phillippe, Belle's loyal friend from Beauty and the Beast, is sweet and good-natured, but more childlike, running from danger more often than not. In Mulan, Khan is a silent guardian, but he can show his impish side at times, squirting water at Mushu and whinnying with laughter as Mulan rehearses her soldier routine. So where did the formula begin? Where did it all start? Many fans have described Samson as the first "Disney horse", in that he is expressive and humanlike. However, after doing my research, I discovered a character I had not seen in a long time, from a little film called The Wind in the Willows. 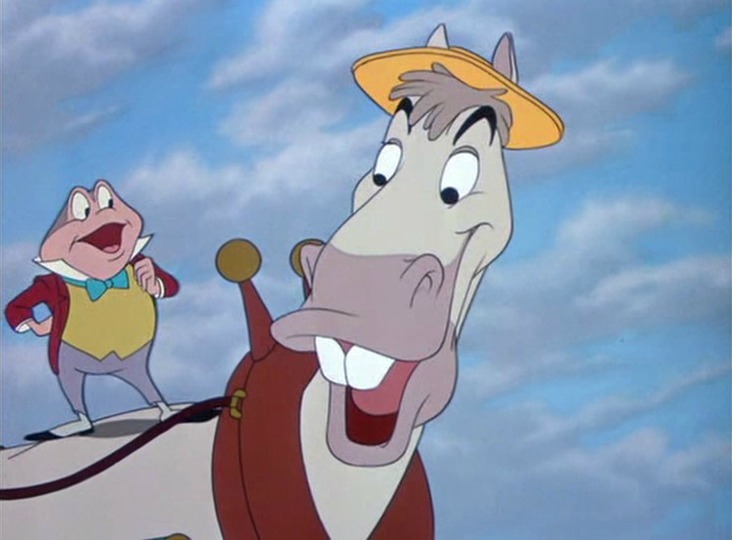 Cyril Proudbottom is the odd name for the happy-go-lucky steed and best friend of Mr. Toad in the 1949 short film, and this horse is not only expressive but also hilarious. To the very end, he stands by Toad's side and even dons a coat and hat to serve on the witness stand. Despite the jabs of the prosecuting attorney, Cyril stays true to his values and delivers one of the funniest lines in the entire film. You could argue that Samson established the formula for the silent horses, but Cyril set the standards for the memorable "talking horses". Speaking of which, several of the horses in this lineup have been given lines of dialogue. Besides Cyril, another fun horse is Captain from 101 Dalmatians, whose dry wit and deep voice establish his dignity and pride. In The Aristocats, Frou Frou the coach horse has the demeanor of an upper-class noblewoman, and even wears a frilly hat when she pulls her mistress's carriage. 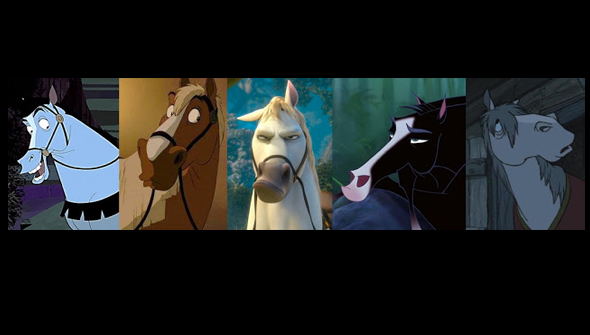 There is no doubt that these animals have distinctive personalities, but we now have to ask ourselves another important question: Why do Disney animators continue following this formula for their horse characters? My guess is that it is somehow related to the bond between humans and their steeds. Dating back to the ancient myth of Pegasus (who was actually represented in a Disney film), humans and horses have shared a special bond, riding into battle and sharing adventures, and these creatures continue to hold a special place in our hearts. They might not be considered "man's best friend", but they certainly are wonderful creatures. There is no doubt that these proud creatures are some of the most unique animated characters ever, and I sincerely hope they continue to be created in this distinctive, stylized formula that has been used since the 1940s when Cyril Proudbottom entertained moviegoers as the first official Disney horse.